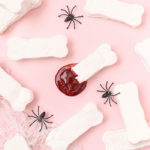 You know I’m not normally one for scary Halloween treats or decor BUT I couldn’t resist trying out this idea for bite-sized marshmallow bones!! 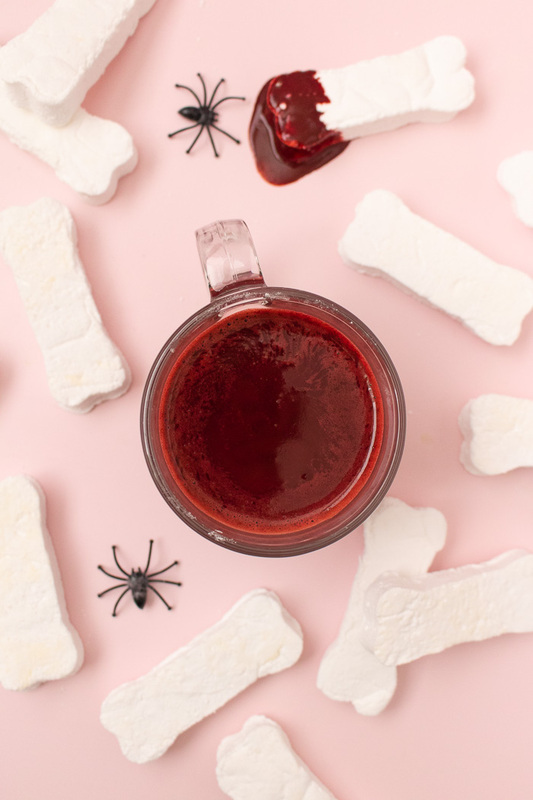 They probably wouldn’t be creepy on their own, but when I paired marshmallow bones with my bloody red velvet hot chocolate, they became the perfect match for a creepy Halloween treat. 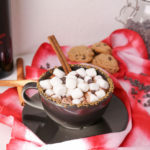 We got a little rain in SoCal over the weekend, and homemade red velvet hot chocolate was the perfect hot drink for the occasion. 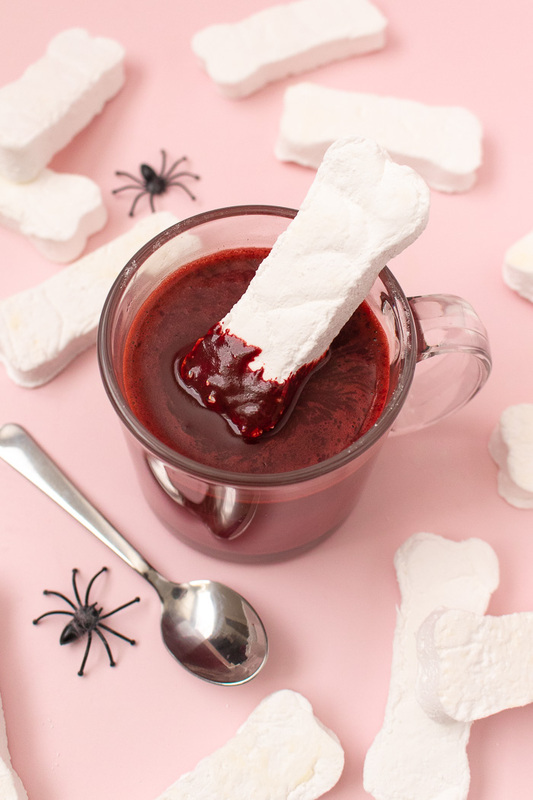 Dip the marshmallow bones into the thick, velvety hot chocolate and enjoy! 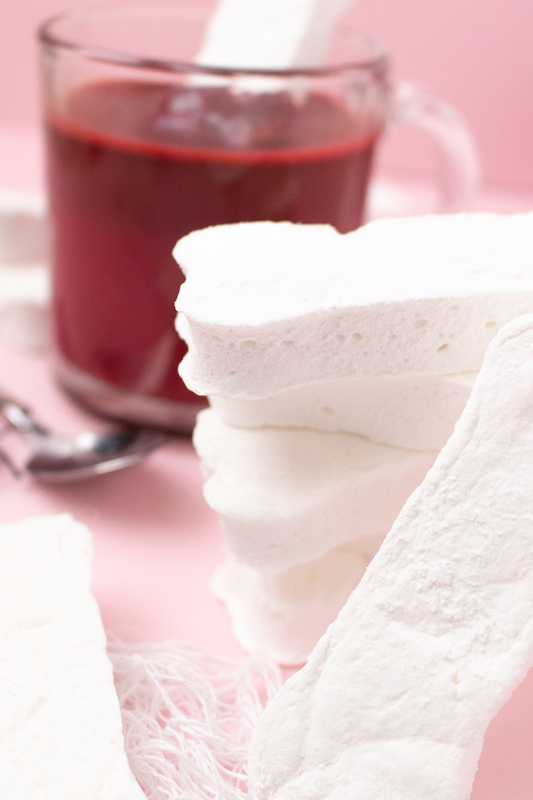 I swear, homemade marshmallows are a MILLION times better than store-bought. 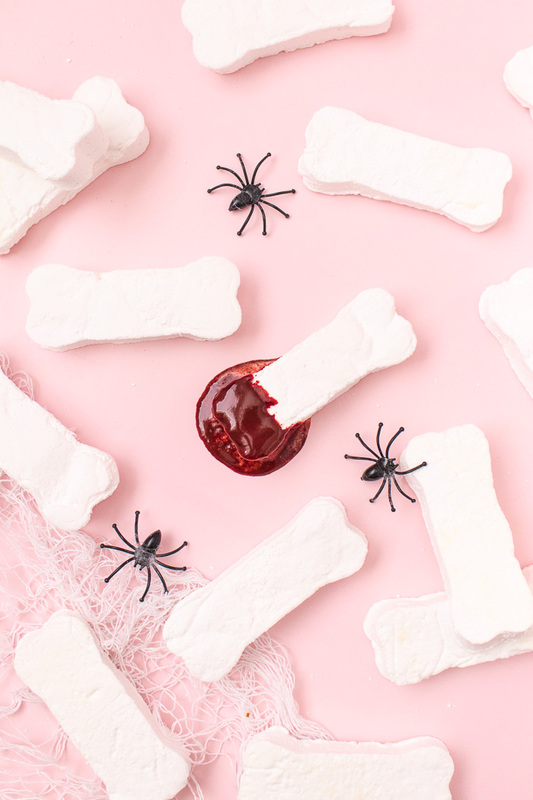 I won’t eat store-bought marshmallows by themselves, but I ate several of these bone marshmallows in one sitting without even realizing it! Both recipes are tasty on their own but WAY better together. 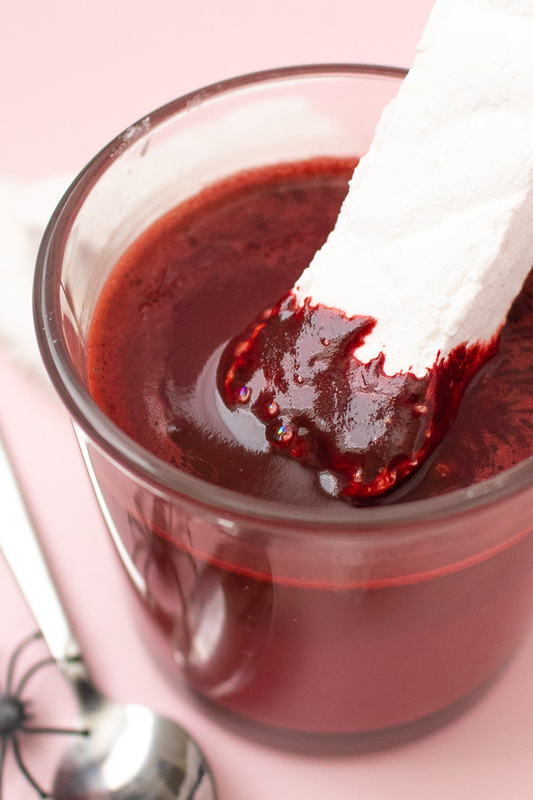 I hope I don’t disappoint you by saying that my bloody red velvet hot chocolate is basically regular hot chocolate with red food coloring…but that’s just how it’s made. Red velvet cake is made with a bit of vinegar, cocoa powder and buttermilk, but the taste isn’t that different from classic chocolate cake, so neither is the hot chocolate version. However, it IS made with melted chocolate – no cocoa powder! 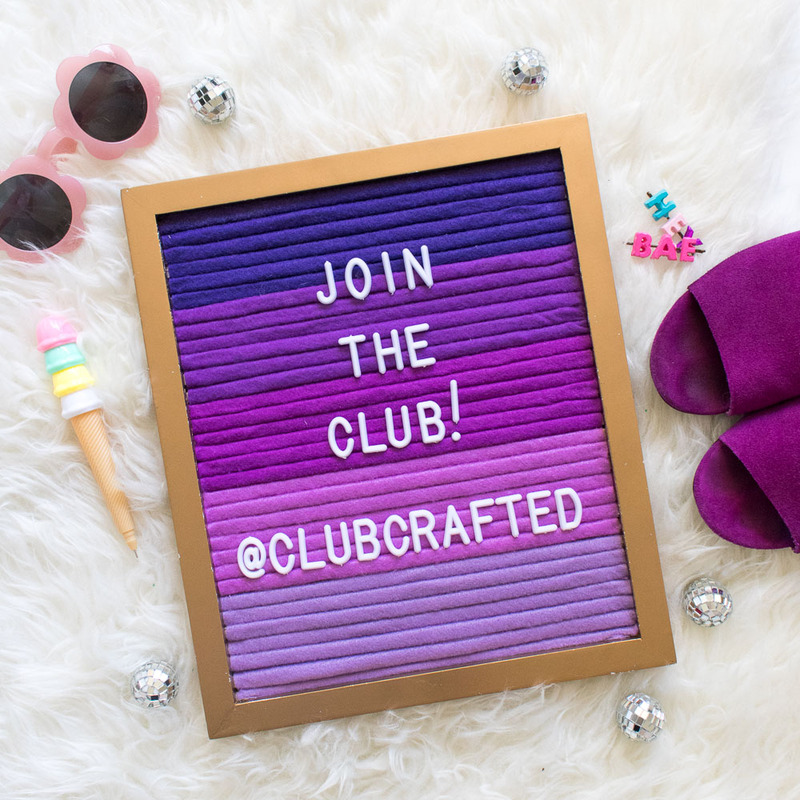 – for an extra rich and velvety texture that gives it that creepy blood look. 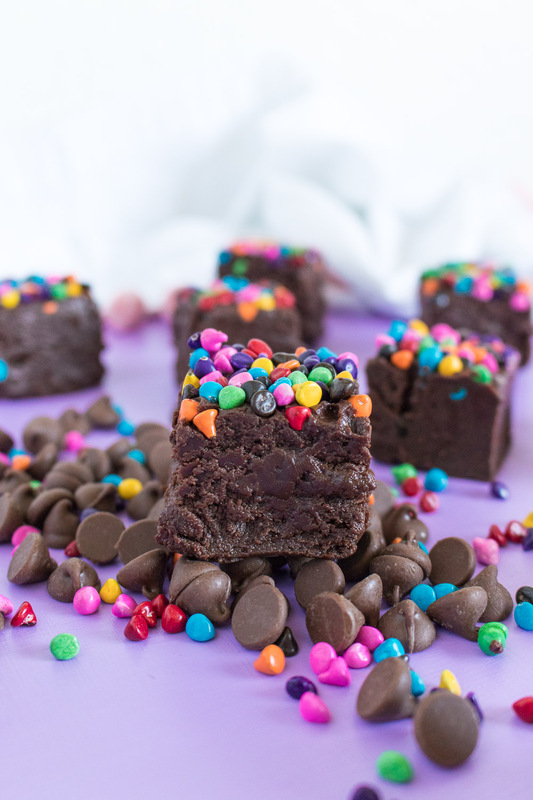 Any chocolate lover is going to need this recipe pinned for later! 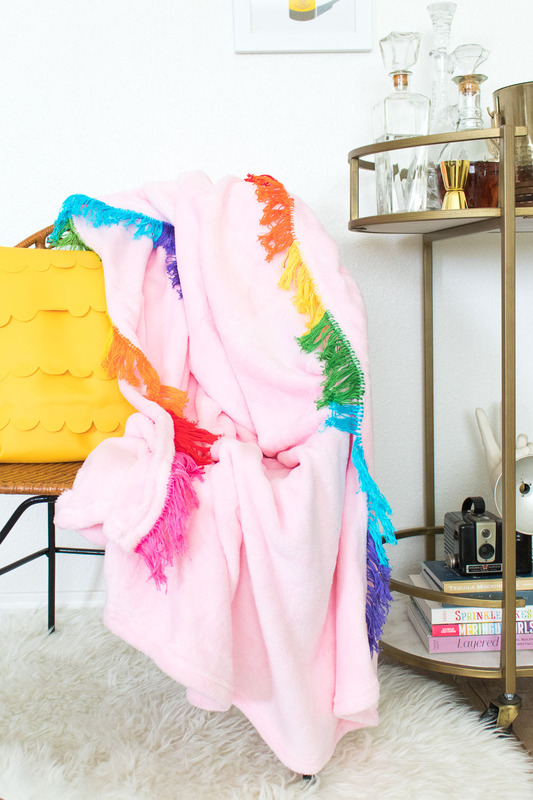 Now, let’s talk marshmallows. 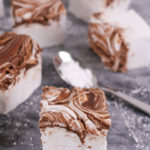 I shared my recipe for Nutella marshmallows almost two years ago, and that’s a larger batch that the one I’m sharing below, but the base recipe is the same. Truthfully, the Nutella makes them better though, ha! 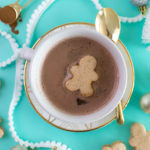 Last year, I also make mini gingerbread man marshmallows that are probably one of the best recipes I made in 2017. 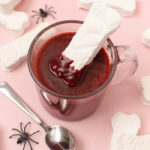 These marshmallow bones are made as a nice small batch, but you can use the Nutella version (sans Nutella obviously) for a larger batch if you use a lipped jelly roll pan instead of the 9×9-inch pan I recommend for this recipe. I’ve been sending Andrew to his new job with batches of treats lately, and he comes home with empty containers! 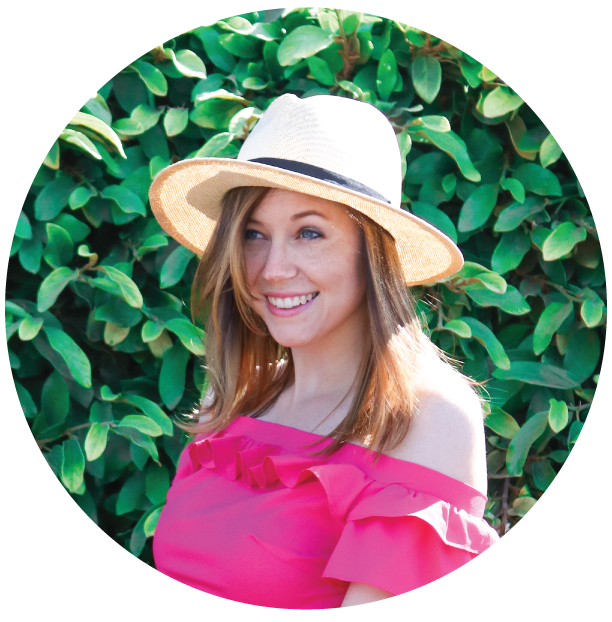 I love finally having a way to get rid of all this food I make, ha! 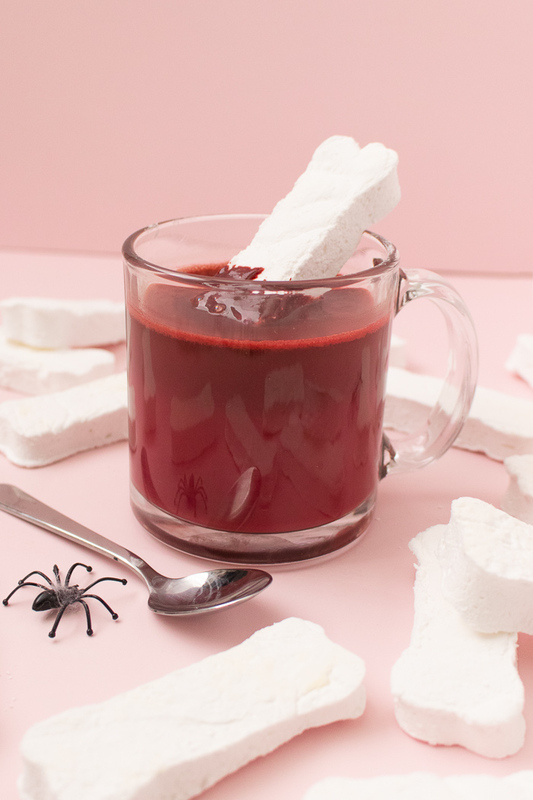 Now, here’s how to make perfect hot chocolate at home to pair with your marshmallow bones this Halloween! 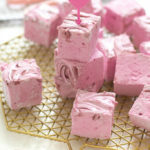 Serve with red velvet hot chocolate! 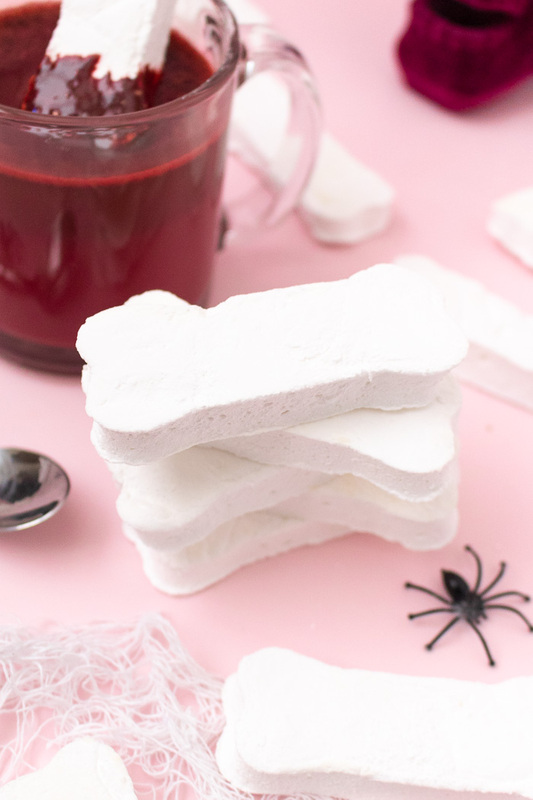 Serve hot and fresh with marshmallow bones!